Elon Musk speaks at the International Astronautical Congress on Sept. 29 in Adelaide, Australia. On Wednesday, the Tesla CEO took analysts and the media to task. To a question about the Tesla Model 3, which has had a slower-than-expected rollout, Musk replied: "These questions are so dry. They're killing me." As NPR's Sonari Glinton reports, investors are getting nervous about the production delays in Tesla's most affordable model, and the company's stock has been volatile. "We have no interest in satisfying the desires of day traders," Musk said Wednesday. "I couldn't care less. Please sell our stock and don't buy it." Then, as if for emphasis, he said it again: "I think that if people are concerned about volatility they should definitely not buy our stock. I am not here to convince you to buy our stock. Do not buy it if volatility is scary. There you go." Musk's remarks appeared to rattle investors. Tesla's stock price tumbled in after-hours trading during the investor call. It was down more than 6 percent as of this morning. Musk also complained about how much media attention a few fatal accidents involving autonomous features on Tesla's cars are getting. "Actually, they shouldn't really be writing the story," he said. "They should be writing the story about how autonomous cars are really safe, but that's not the story that people want to click on. So they write inflammatory headlines that are fundamentally misleading to the readers. It's really outrageous." Musk said that despite the record loss in the first quarter, Tesla could see profits by year end. Tesla will undergo "a sort of reorganization, restructuring" this month to help achieve that goal, he said. 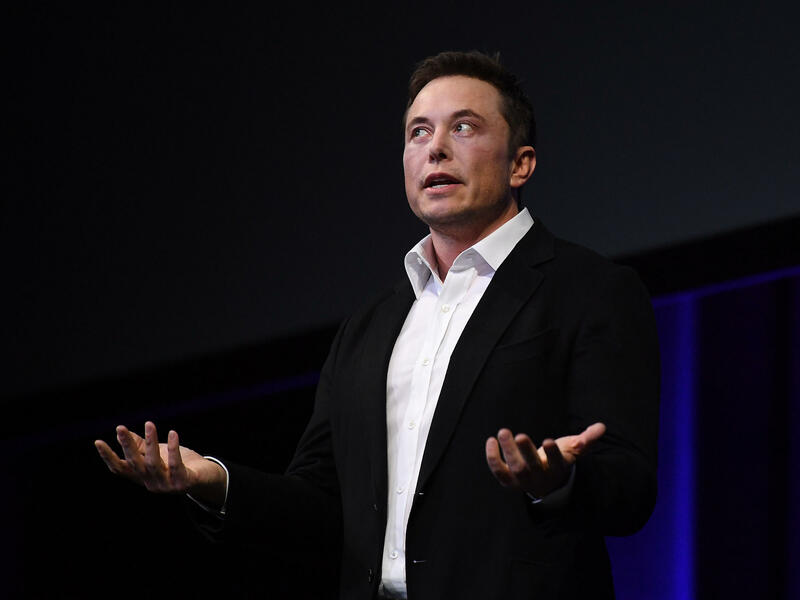 "The number of sort of third-party contracting companies that we're using has really gotten out of control, so we're going to scrub the barnacles on that front," Musk added. "It's pretty crazy. We've got barnacles on barnacles. So there's going to be a lot of barnacle removal."